What I actually done was a U-Turn from the right hand turn lane, I have done this many times before as there are no signs saying that U-Turns are prohibited. 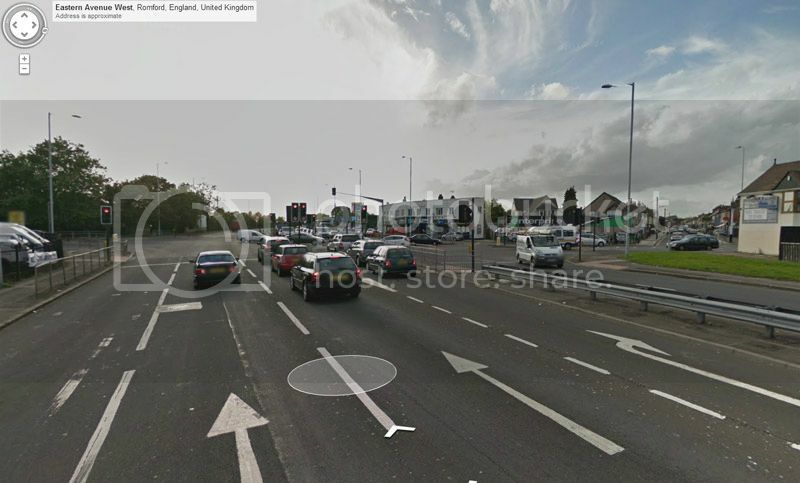 I have edited this Google maps photo to show where I was and the manoeuvre taken. (I know the google photo is from Nov 2012, but I am certain there are no "no u-turn" turns there still now. 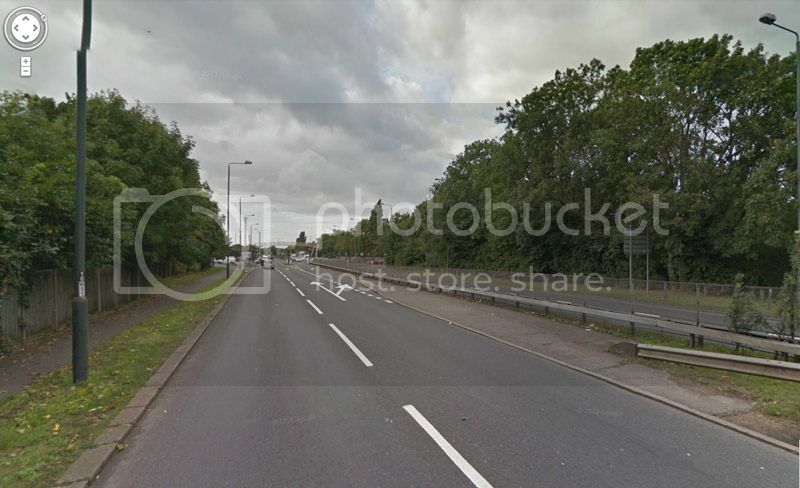 The junction is where the A12(Westbound Eastern Avenue) meets Barley Lane and Hainault Road. 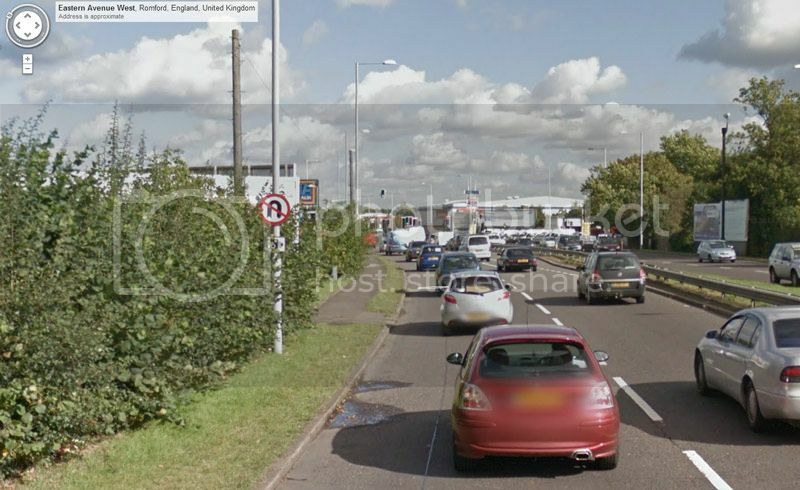 I was in the lane to turn right into Hainault Rd, but made the U-turn to go east bound on the A12. Is there any other reason why this move should not have been permitted? Can I just appeal saying I made a U-Turn but there are no signs saying you cannot do them? The rest of the ticket looks ok, time & date seem accurate. The 2 photos shown on the PCN are only of the car sitting in the right turn lane waiting at the lights. But I imagine they will have the full video available should I wish to view it. It looks like there is a round blue sign with a white arrow pointing right under the traffic signal for the right turn lane. This means you must turn right. This prohibits going in any other direction such as left, straight ahead or u-turn. The probability that a driver who does not know that a sign indicating that you may proceed ahead only does not prohibit a u-turn, or any turn, will be sufficiently aware of what constitutes a valid PCN is low. In short, pl post the PCN! I have no intention of trying to get out of the PCN on a technicality with wording/details, but this user posted theirs and mine is the same bar the unique details: http://forums.pepipoo.com/index.php?showtopic=83671 my PCN is at the same junction for doing the same thing. 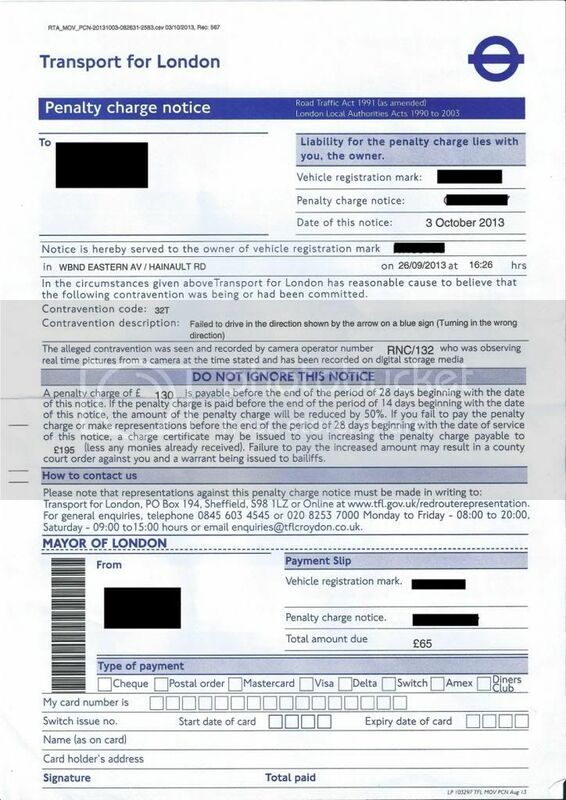 My main issue with this ticket is the fact that "IF" the signage along that stretch of road is correct, then it is also confusing and contradictory. 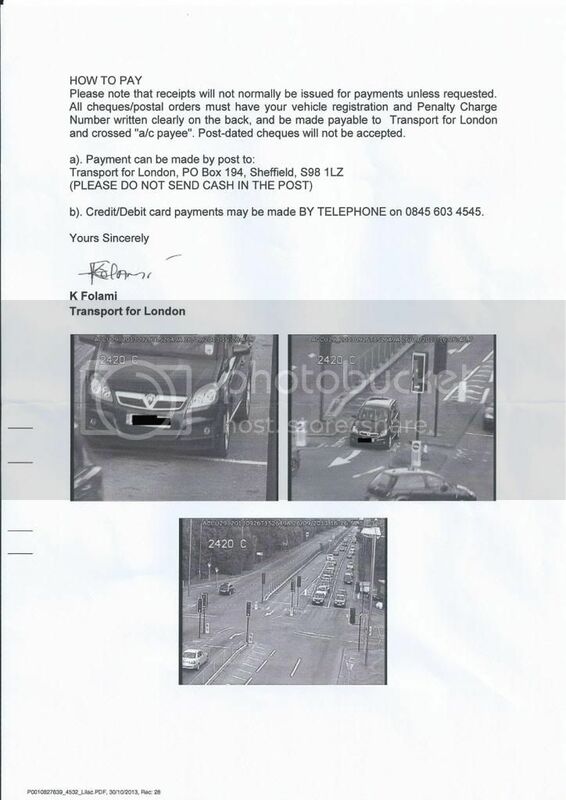 These photos are of the approact to the junction the PCN was received at. The first is approx 500 yrds from the junction as the sign indicates. There is no "No U-Turn" signs anywhere along that part of the road approaching the junction or at the traffic lights. 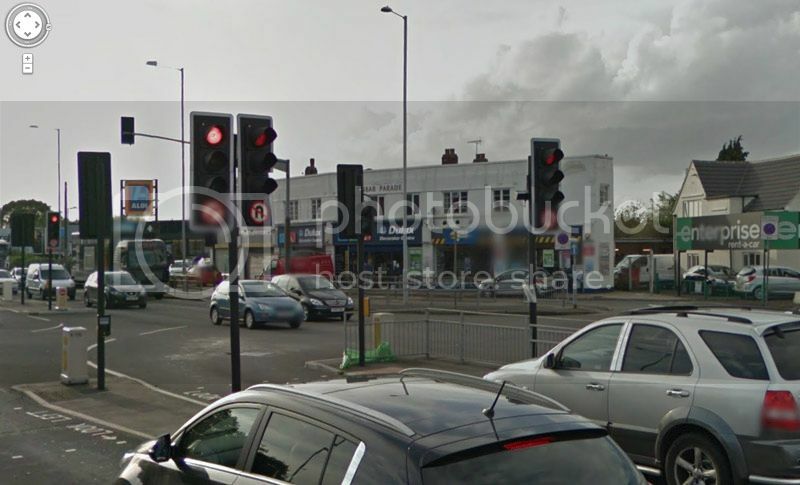 Now compare those to this junction that is located along the same stretch of road within a mile of that one. 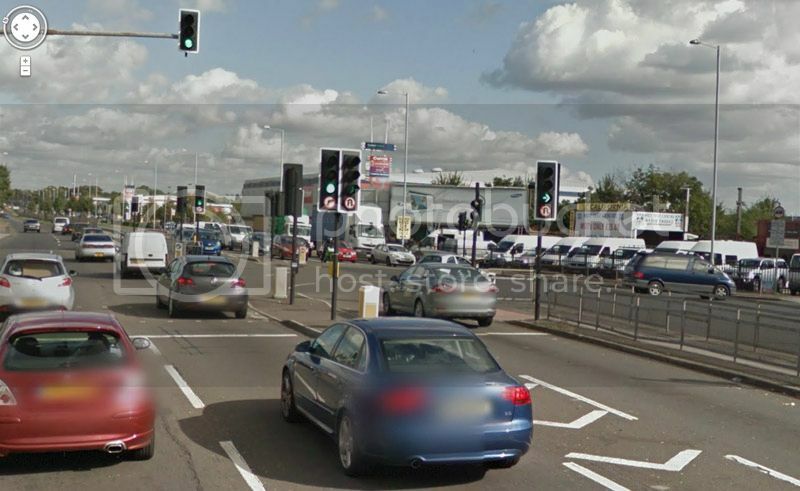 (A12 / Mawney Road Junction) This junction also has its own right hand turn lane. My question is, why go through all the effort with placing "No U-Turn" signs along certain parts of the road and having "No U-Turn" signs placed on traffic lights, when just a simple "blue sign/white arrow" on the lights would be sufficient? So you were in the separate right turn lane where the arrow points to say you can turn (and you are right, it does not preclude a full U turn). So can no one tell me the difference between the 2 junctions as the photos show? Why does 1 get the No U-Turn sign and the other does not? TFL should have consistent signage. What, and not have a nice little earning opportunity ? You could, of course appeal on confusing signage on this road as some have "no U-turn" signs and some don't which mislead you. 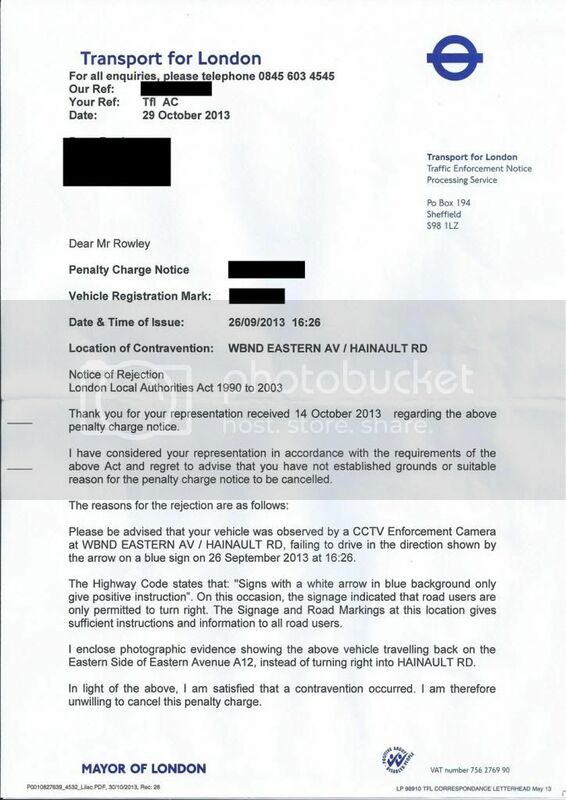 I believe this contravention did not occur. For the following reasons. 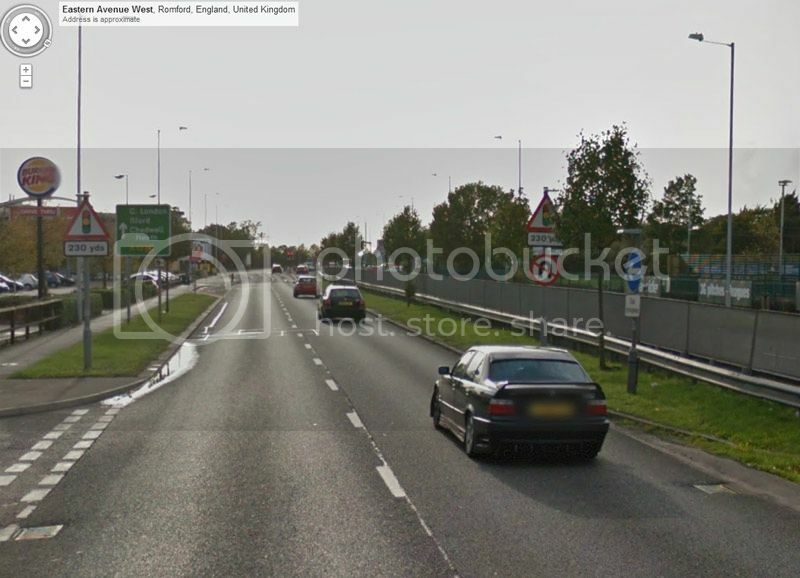 The junction in question where this PNC was received DOES NOT have a “No U-Turn” sign in place. The junction has its own right hand turn lane with its own set of traffic lights, there is NO sign in place along the approach to the junction saying that U-Turns are not permitted, neither is there correct signage in place anywhere at the traffic lights that effectively prohibits a U-Turn. 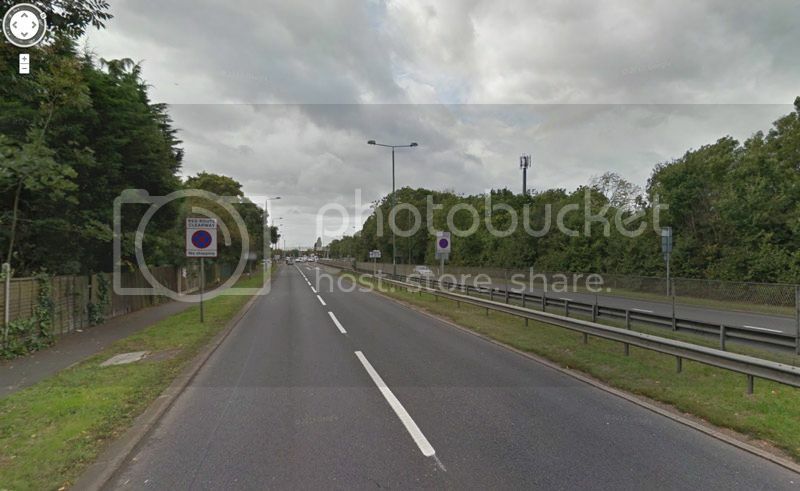 I would now like to explain the attached photographic evidence of a similar junction along the same road (A12 – Westbound Eastern Avenue) at the junction with Mawney Road. I note that on the approach to this junction there IS a “No U-Turn” sign and then at the traffic lights there is again a “No U-Turn” sign. This junction clearly indicates that U-Turns are prohibited. This junction also has its own right hand turn lane. 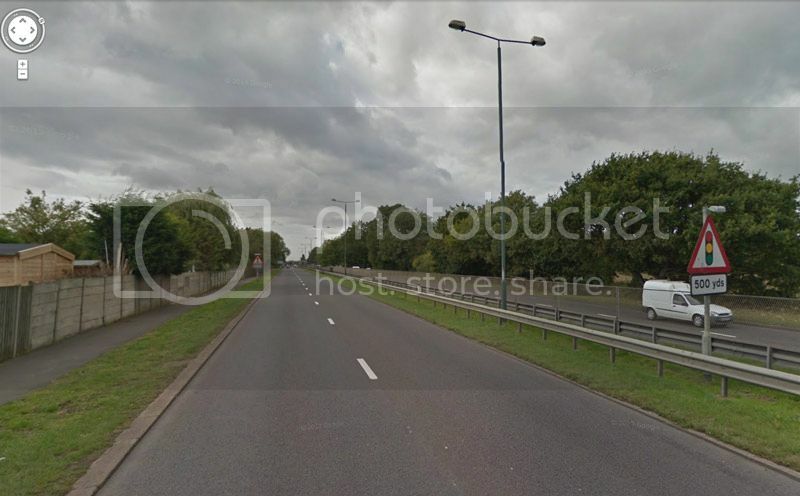 This is also the case for traffic travelling eastbound along the A12 at the same junction with No U-Turns in place. Therefore IF the junction the contravention was incurred at prohibits such U-Turns why is there not similar signage to the Mawney Road junction. 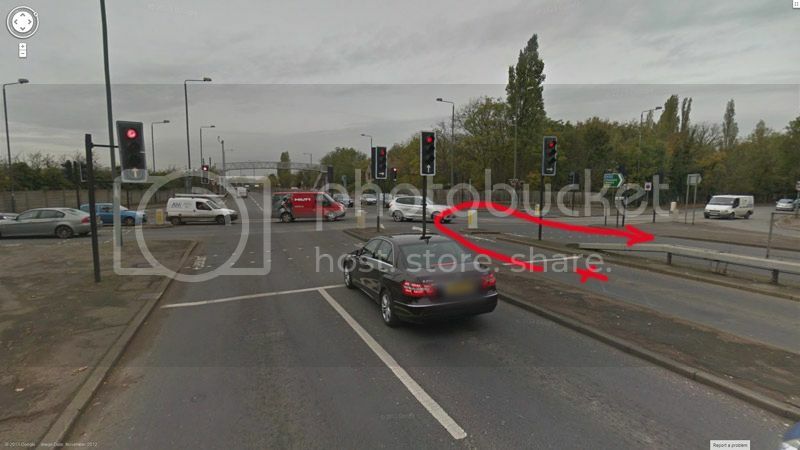 I have attached photos of both junctions, therefore if you feel the need to reject this appeal I will require a written explanation as to why TFL’s signage is INCONSISTENT and thereby CONFUSING to motorists. a copy of their response please. A disappointing result, looked clear cut to me--no signage. London Borough of Hammersmith and Fulham v Azadegan (2011) PATAS 2110041915 and London Borough of Haringey v Orphanides (2011) PATAS 2110032583. I know your case is based on signage or lack of same but I think you need to consider what the Panel of Adjudicators discussed too. We've still not seen the PCN. I assume OP means representations when they refer to the term "appeal"? I still remain of the view that the OP is trying to manipulate the objective facts to their own agenda. The sign is clear: you must turn right. By implication, although none is needed, you may not turn left/go straight ahead/ execute a "U" turn: you must do what the sign directs and, although we haven't seen the PCN and therefore cannot verify its contravention, you tell us that this was 32T - Failed to drive in direction show by the arrow on a blue sign (turning in the wrong direction), and by your admission you did fail to comply. 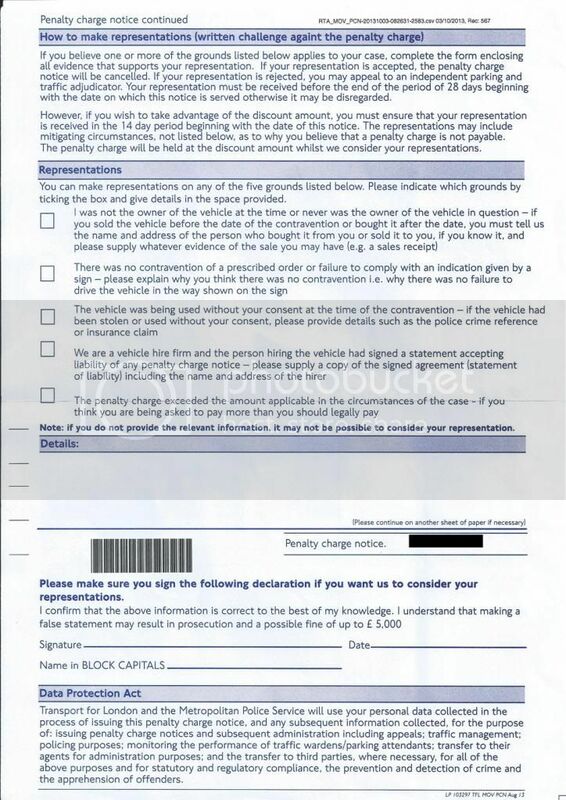 The sign is specified in Schedule 3 of the Act, so where's the OP's defence if we cannot look at "technicalities"? Not really much point in dicussing what is or is not a U turn since the PCN was not for doing a U turn it was for failing to drive in the direction shown on the sign which was ignored. I won't quibble but the suffix "t" relates to turning in the wrong direction. OP: Show the PCN - all of it less details! It will be non-compliant.  So, why use this forum? Why? Because I am an expert in this field - as are others on this forum! If you want to limit your chances of winning, then just play into their hands. This is what you are doing by making such a statement. 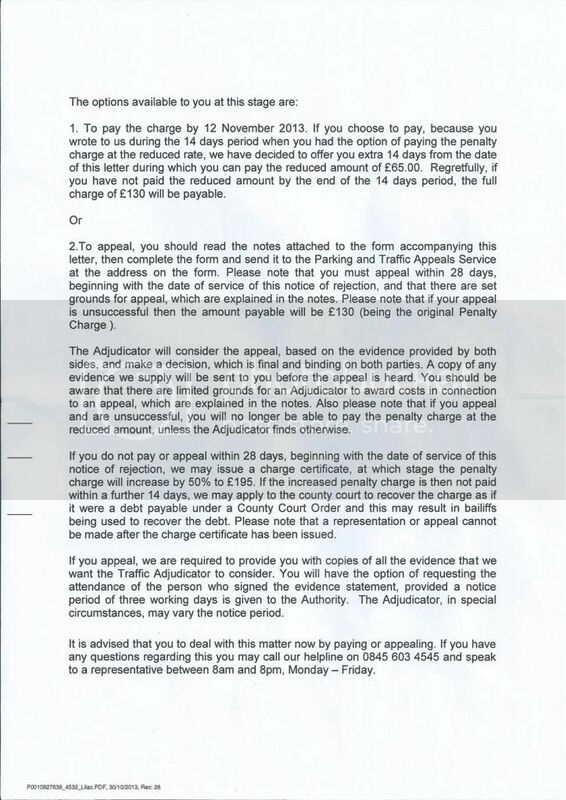 I have recently issued a letter to TfL re their PCNs which resulted in a successful outcome for a friend. So, tis up to you. I do not suppose you are interested in reading it? This has the usual wording issue re conflating the two periods in which to pay and in which to make representations: see any of my threads re Yellow Box Junctions and inconsistencies . More in a minute. 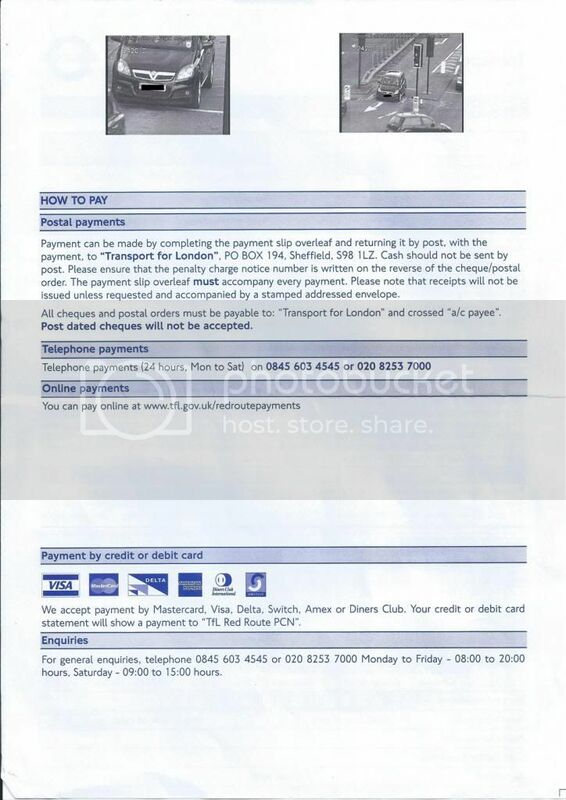 Suggested letter sent by PM. Take out the last but one paragraph. Many thanks Hippocrates, will get this sent off today.